Human society, at the present moment, is not in the darkness of oblivion. It has made rapid progress in the field of material comforts, education and economic development throughout the entire world. But there is a pinprick somewhere in the social body at large, and therefore there are large-scale quarrels, even over less important issues. There is need of a clue as to how humanity can become one in peace, friendship and prosperity with a common cause. 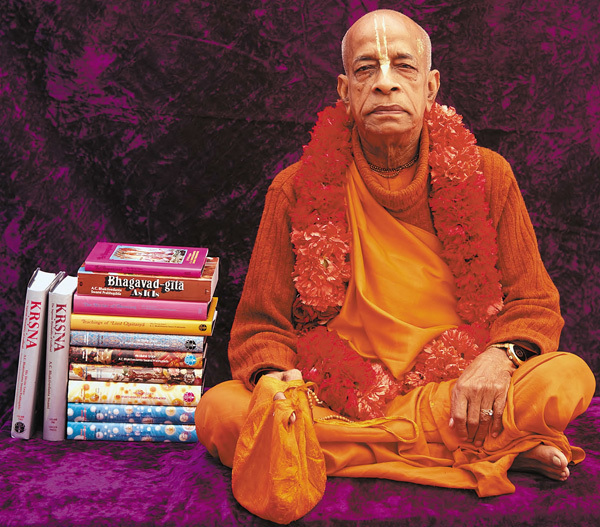 Question: Hare Krishna, I know some of Srila Prabhupada’s Srimad Bhagavatam editions have been edited. My question, are these Srimad Bhagavatams the original unedited, or I mean, the same as the first ones printed by Srila Prabhupada? Question: Do the Bhagavatam volumes have both sanskrit verses, and their english transliteration also? Question: Can this be provided in Hindi? I was looking to purchase whole set, but in Hindi only. Question: Is this set shipped from US or from India? Question: Is it available in bengali version? Answer: I am sorry but currently we do not have the Srimad Bhagavatam set available in Bengali. see more I am sorry but currently we do not have the Srimad Bhagavatam set available in Bengali. Question: Hello, what are the dimensions of the books in this set and is the whole set presented in hardcover format? Question: Is this the complete set of every canto with every chapter; are there any books part of the complete 12 cantos that are not provided? Answer: Hare Krishna, This is the original 30 volume edition as was being printed when Srila Prabhupada was... see more Hare Krishna, This is the original 30 volume edition as was being printed when Srila Prabhupada was still on the planet. It is Cantos 1-10. Cantos 11-12 were translated and commented on later by some of Srila Prabhupada's disciples and they are not included in this set. Question: Does this set come with the box case to keep the books in? Question: Hare Krishna, Does this set contain full 10th Canto (90 chapters) or only till 13th Chapter? Is there a separate book available for 11th and 12th Canto though these were translated and commented on later by other disciples? This set contains up to the chapter of the 10th canto where Srila Prabhupada got up to translating personally. We do not have any book containing the 11th and 12th cantos for sale at Krishna Store.